Growing up we always had a meat, veggie and starch at the dinner table. As I started a family of my own I tried to make sure I did the same for my kids. They all are great eaters and love veggies. When we are busy and on the go I like to be able to provide them with food that's quick but I still feel good about giving them. Birds Eye, the number one name in frozen vegetables is introducing a first-of-its-kind frozen offering, bringing nutritious, veggie-rich side dishes to kids, featuring Disney characters they know and love. The Disney offerings by Birds Eye feature pastas in the shape of today’s favorite Disney characters including Anna, Elsa, and Olaf from Disney’s Frozen; Lightning McQueen and Mater from Disney•Pixar’s Cars; and classic characters Mickey Mouse and Minnie Mouse. Varieties include: whole grain pasta and corn with a butter sauce, pasta and broccoli with a cheese sauce, pasta and peas with a parmesan cheese sauce, and pasta and carrots with a tomato sauce. According to the State Of The Plate report, nine out of ten people in the United States do not get enough vegetables. Through delicious, innovative products like these, Birds Eye is striving to increase vegetable consumption among families with convenient and flavorful veggie-filled options for every age group! These four varieties are available now, and for more information on Birds Eye products, please visit www.birdseye.com. Amelia really enjoyed the Pasta and Peas with a Parmesan Cheese in Disney's Frozen shapes and had fun telling me who each shape was. 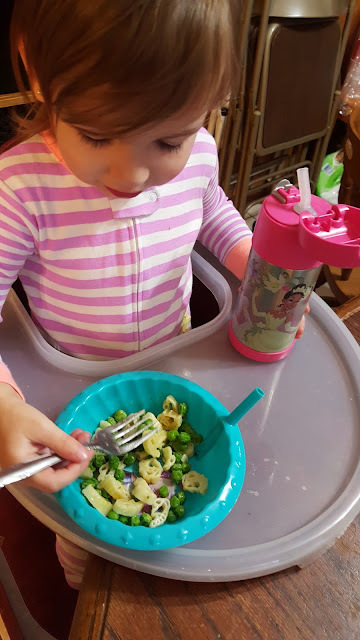 These are perfect for quick lunches when the kids don't want sandwiches and are easy to heat up in the morning and add to a thermos for my older girls to bring to school. 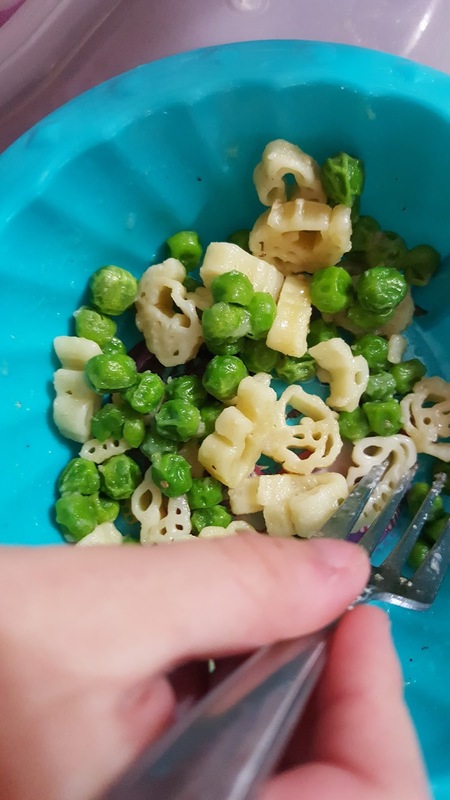 You can find the Birds Eye SteamFresh Vegetables + Disney Shaped Pasta at grocery stores nationwide.